Donations sought to replace Medal of Honor citation plaque. The pedestal at Torrance High School where the Medal of Honor citation for Ted Tanouye was taken over Veterans Day weekend. TORRANCE — A thief made off with the bronze plaque that told of the heroic exploits that earned Technical Sgt. Ted Tanouye the Medal of Honor, the nation’s highest military honor. The memorial is located on Carson Boulevard in the courtyard in front of Torrance High School, where Tanouye graduated as an honor student in 1938. A Go Fund Me page has been established to raise money to replace the plaque. To donate, visit www.gofundme.com/Ted-Tanouye-Memorial-Repair-Fund. Gail Morgan, president of the Torrance High Alumni Foundation, discovered the vandalism on the morning of Veterans Day. She says the theft most likely occurred sometime after the end of October. “I went over on Veterans morning to take down the old flag and put up new one and that’s when I discovered the vandalism,” Morgan said. Ron Yamada, president of the Ted Tanouye Memorial Foundation, said the committee is looking at replacing the plaque with alternate materials, rather than bronze. “We think it was more related to the scrap value, not related to anything as far as either being a war memorial or Japanese American,” Yamada said. 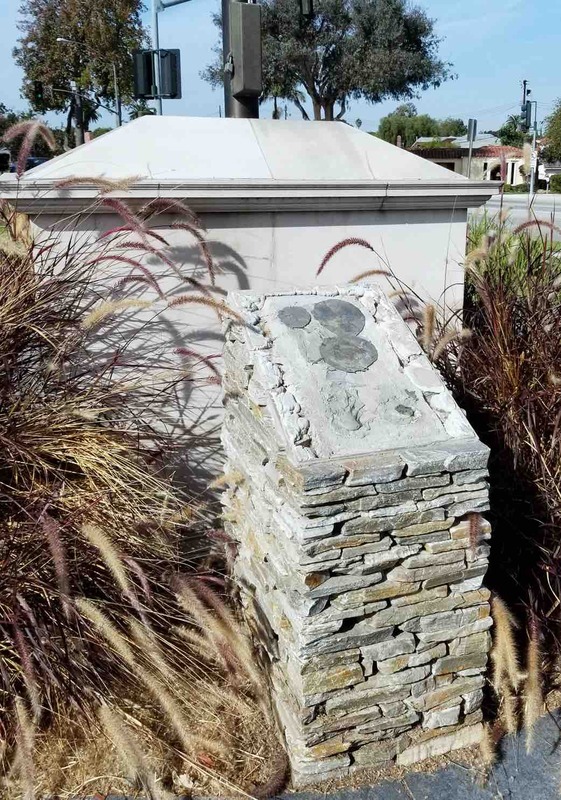 Torrance police are investigating the incident as a grand theft, estimating the value of the three-foot bronze plaque at $7,000. Scrap metal thieves are all too common. In January, the portrait of Rev. Howard Toriumi was stolen from the memorial plaque at Toriumi Plaza in Little Tokyo. 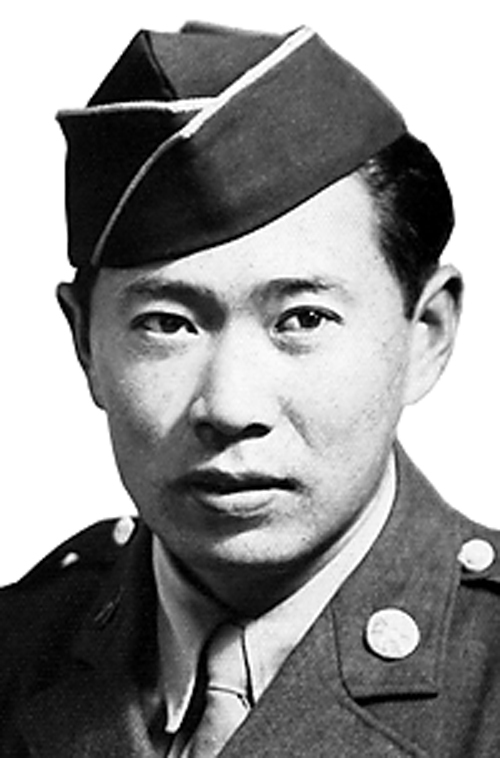 Tanouye volunteered for the 442nd Regimental Combat Team in 1943. He was posthumously awarded the Medal of Honor in 2000 for his heroic charge to capture a strategically important hill on July 7, 1944 near Molino A Ventoabbto, Italy. He died on Sept. 6, 1944, days after he was wounded by an exploding land mine near San Mauro, Italy. 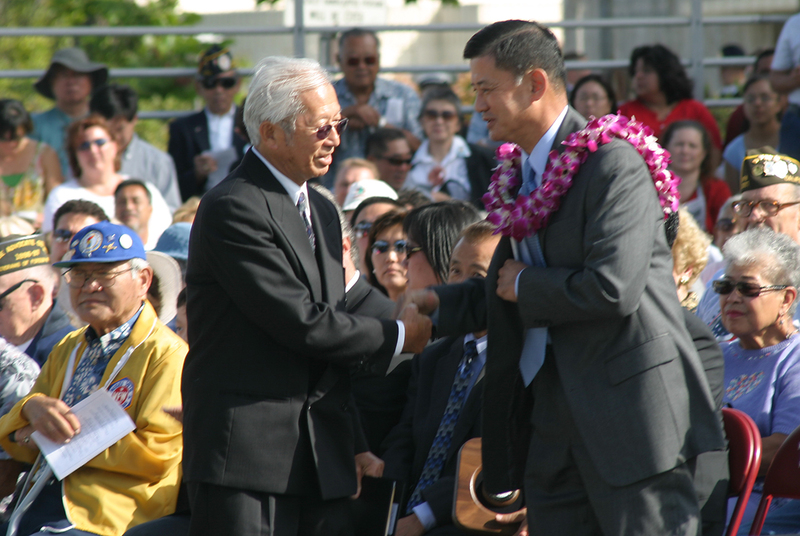 At the 2004 dedication of the Tanouye Memorial, then-Gen. Eric Shinseki praised the soldier for heroism under fire. “He was a great American soldier. He performed the act of heroism that no one can appreciate,” said Shinseki. Tanouye is the only Torrance resident to have received the Medal of Honor. In 2004, his brother Isao remembered his older brother. “He didn’t try to be a leader. But, he was a first-born. He had to watch out for all of his seven siblings. So, he was pushed into a leadership,” Isao said.